Stacy M. Brown | 1/15/2016, 8 a.m.
A retired judge of the U.S. District Court for Maryland has been appointed by Governor Larry Hogan along with six other veteran community leaders to serve on the University of Maryland Medical System board of directors. 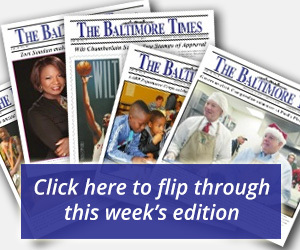 Alexander Williams Jr., who in 1994 was appointed by President Bill Clinton to the Federal Court, will serve a five-year term on the board that’s already comprised of some of Baltimore’s most prolific community members who are charged with helping the hospital grow, raise funds and finding better ways to help city residents with health problems. 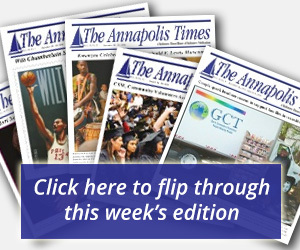 Williams, who last year joined the Baltimore law firm of Silverman, Thompson, Slutkin & White as the only practicing retired federal judge in Maryland to advise clients in complex civil litigation and federal criminal matters throughout the region, has a legal career that spans more than four decades. He earned an undergraduate degree from Howard University in 1970 and later obtained his juris doctorate from Howard University School of Law. Born in Washington, D.C. in 1948, Williams earned masters degrees from Howard University’s School of Divinity and Temple University, followed by an honorary doctorate from Southeastern University. Williams has served as law clerk to the Honorable James H. Taylor of the Seventh Judicial Circuit of Maryland and he engaged in private practice at various times from 1974 to 1986. He has also served as municipal attorney for Fairmount Heights; part-time substitute juvenile master for Prince George’s County Circuit Court; assistant public defender for Prince George’s County Public Defender’s Office; part-time special counsel and hearing examiner for Prince George’s County Board of Education; and municipal attorney of Glenarden. From 1978-1989, Williams held the position of Professor of Law at Howard University School of Law; and from 1987 to 1994, he served as the elected State’s Attorney for Prince George’s County. It’s an honor that Williams is among the six chosen by Hogan to serve on the UMMS board, according to firm officials. Others receiving the nod are August “Augie” Chiasera, the president of the Greater Baltimore/Chesapeake region for M&T Bank; Kenneth Moreland, the treasurer and chief financial officer of T. Rowe Price; Dr. Roger Schneider, a vascular surgeon and founder and managing partner of Vascular Surgery Associates; R. Kent Schwab, the chairman of the board at the University of Maryland Baltimore Washington Medical Center in Anne Arundel County; and Leonard Stoler, a successful Baltimore businessman for more than four decades in the automotive industry as well as a longtime philanthropist.